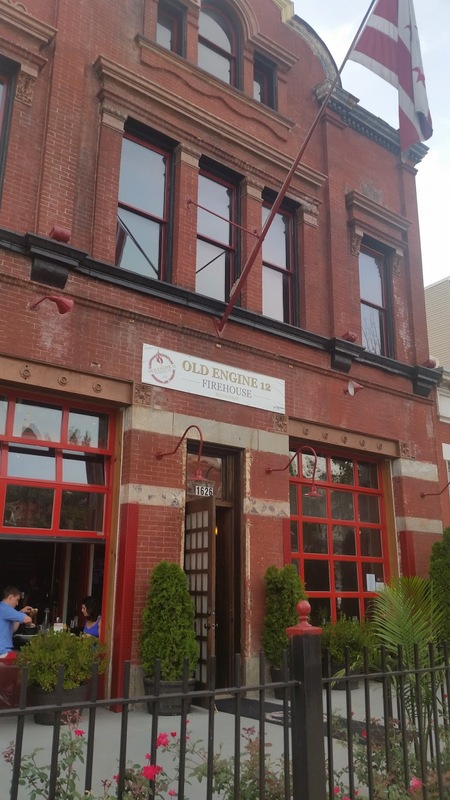 This edition of Excited about Eating takes us to the Bloomingdale neighborhood of Washington DC and to Old Engine 12 Firehouse Restaurant. Dora here. Sorry for the blurry photo. A rescue unit was parked across the street, and the red lights reflected from both directions. Fitting for a converted firehouse, right? 🙂 Oh, and their website indicates this restaurant is located in the Bloomingdale neighborhood, but it’s also only a couple blocks from Shaw. The Grilled Brussel Sprouts appetizer with balsamic molasses syrup and sea salt was outstanding. 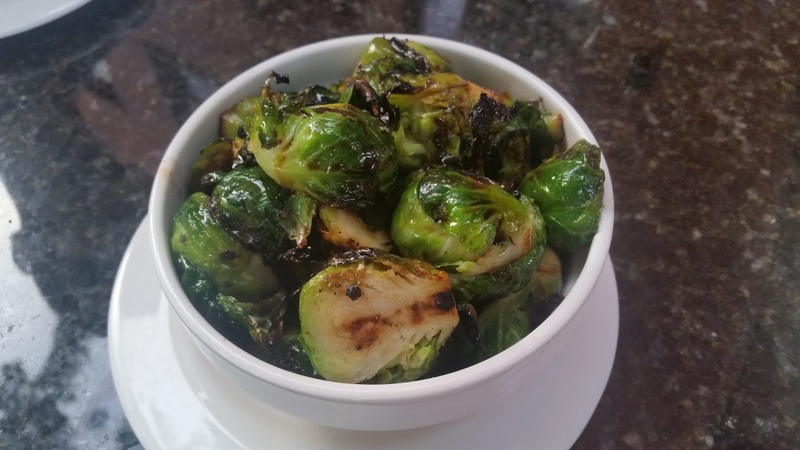 With just the right amount of char and sweetness, these sprouts were delicious. 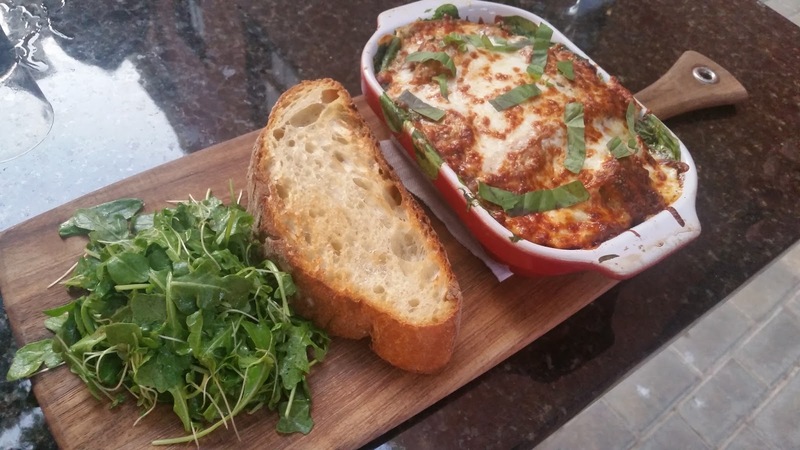 The Classic Lasagna, made with short rib Bolognese, ricotta and arugula, was huge, definitely large enough to share. The pasta was homemade and thin and mixed great with the sauce and massive amounts of ricotta. The star of this dish was the brisket short rib; tender, juicy, and something you would not expect in lasagna. The only negative was the layer of arugula. More than I expected and a bit overwhelming. Dora here. Beautiful dish, though, right? It’s a stunner presentation, but I agree. One bite, and the pungent arugula took over for me. I’m glad I ordered the Firehouse Burger. lol. Meaty, thick and juicy, the special sauce jazzed up the flavor even more. Delish! 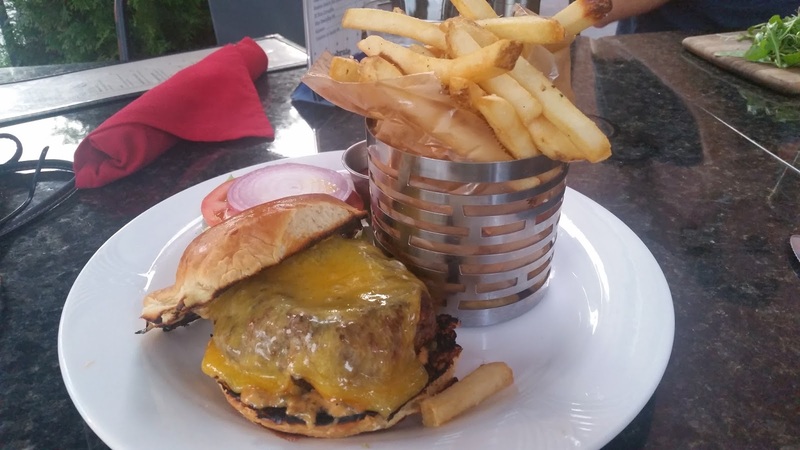 We rate this restaurant 4 forks out of 5 for a family friendly restaurant serving great food. Dora here. 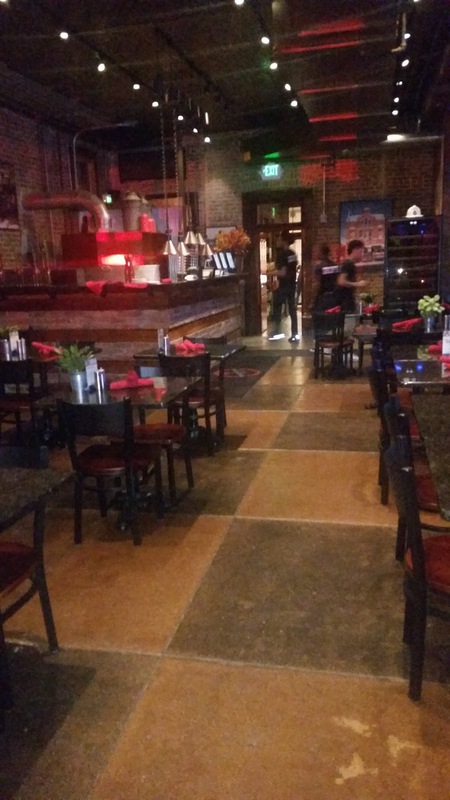 This restaurant deserves five forks for ambiance. As a converted fire station, how could it not? lol. 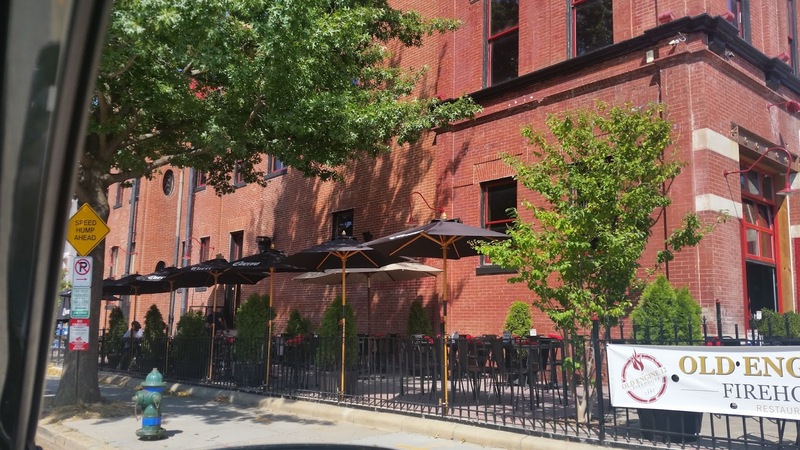 We enjoyed the outside patio. Cool and breezy and quiet, easy for conversation. A perfect spot for dinner! They score 5 forks for presentation and the burger, but the excessive arugula brings it down to 4 overall. What’s the most unusual ingredient you’ve tasted in lasagna? Did you enjoy the twist or do you prefer traditional? What a neat place! As for me I prefer the traditional lasagna. I lived outside of DC for almost forty years and they wait until I move to create this? What a cool setting for a restaurant. The food looks delicious. Ann, it was really good, I am sure you would like it. Jill, the food was great. And everyone wants to eat at a fire station.